We visited Athens at the beginning of our trip to Greece for two nights before we left for Santorini. We had one full day to explore so we made the most of it! We woke up, had breakfast at our hotel and set out with our double stroller to do some sightseeing. We initially tried to enter the Acropolis from the back entrance where it's less busy but they didn't have a stroller check, so we walked around to the front. We already had our tickets so we checked the stroller and walked up. It's definitely a little hike but still (we felt) completely manageable with kids. Our 2-year old rode on my husbands shoulders for a good part of the visit and he walked around for the rest. We spent a total of about 2.5 hours visiting the Acropolis. It was a surreal experience to walk around a place that was built nearly 2500 years ago. To think of the people and families, walking and talking and what their lives looked like back then is almost mind numbing. And not to mention, the ancient architecture is just incredible. It was very windy at the top and actually helped make a very hot day, much more tolerable. Here are some of my favorite shots from our visit! Stay tuned for another post on Athens -- more on the Acropolis, details on where we stayed and an amazing dinner spot that offers one of the best views in the world! Walking up to the entrance. 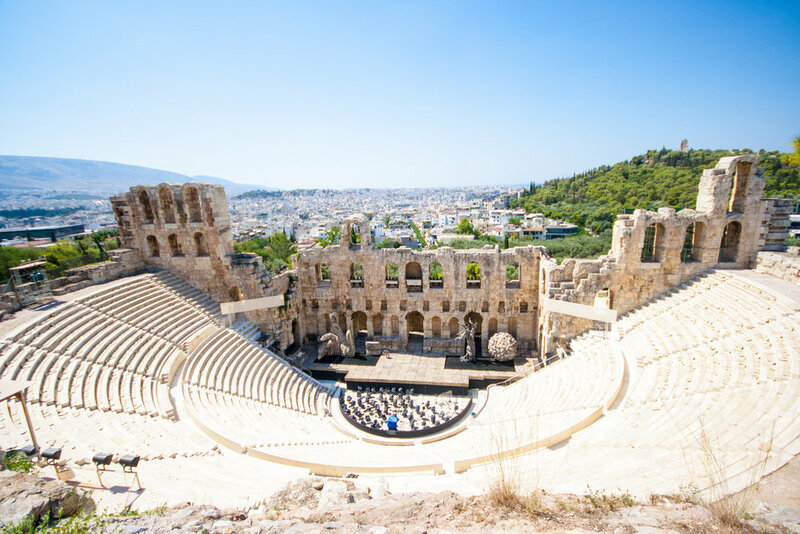 The Odeum of Herodes Atticus is a stone theatre on the southwest slope of the Acropolis and was completed in 161 AD. They still hold regular concerts here. A cave in the wall just after the the Odeum of Herodes Atticus on the way up to the Acropolis. 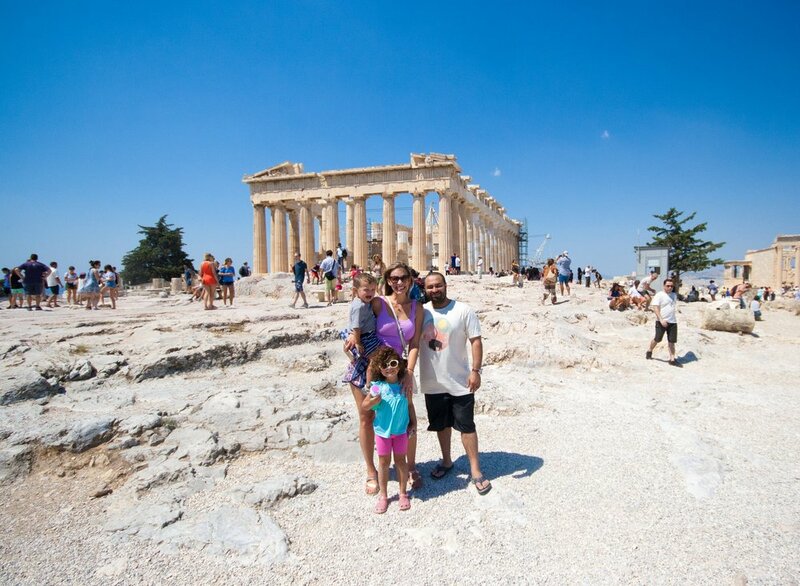 The Parthenon is a temple that was dedicated to the goddess Athena and was completed in 438 BC. 2500 years old...incredible! View from the top of the Acropolis looking out over the Northeast side. It was absolutely incredible. Aug 6 Happy World Breastfeeding Week!